Just when it seemed like the real estate year was over, the month of October turned out to be surprisingly active. 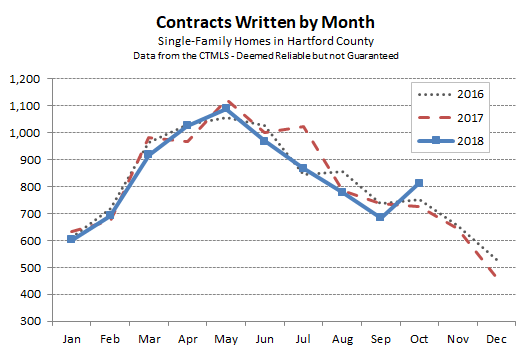 Hartford County recorded 812 single-family home contracts, which was more than 11% higher than October of last year. 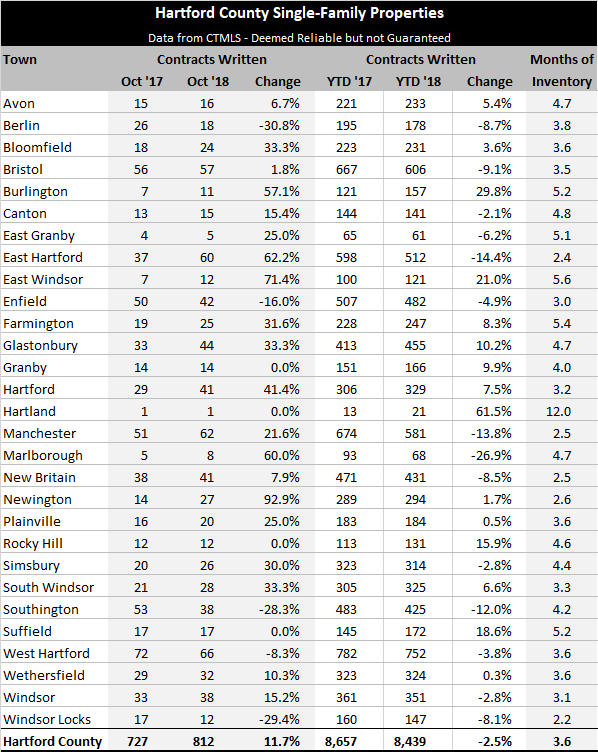 The total was also a significant jump from last month, September 2018, when the county finished with just 684 contracts. This single-month reversal is one of the largest we have seen since we began reporting on monthly contract data. There appears to be no direct cause for the increase. The economy has not dramatically changed, election day has not arrived, mortgage rates remain slightly below 5%, and we are not aware of any major new narratives that would justify such a significant market shift. We’re happy to be reporting positive market news, however unexpected it may be. Consult with your favorite real estate agent to find out how this upswing impacted your town or neighborhood market. There may still be opportunities this year, and this is the time to begin planning for next year’s spring market.